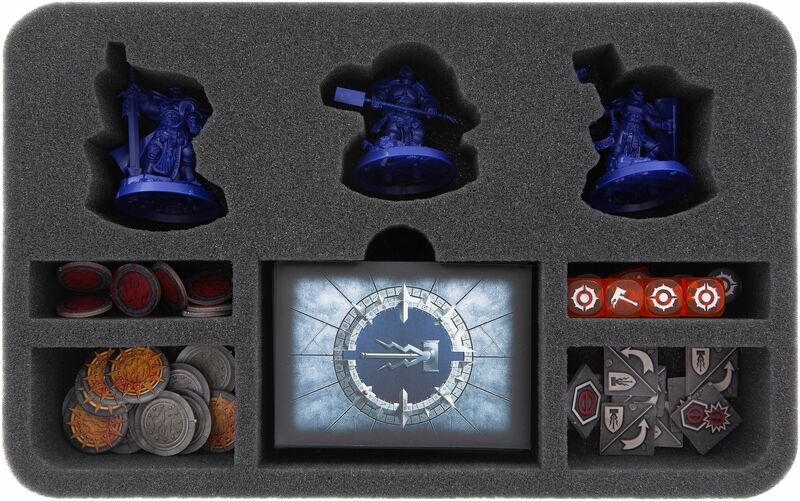 6 Warhammer Underworlds: Shadespire warbands neatly stored in one box. Not only did Nagash, the Supreme Lord of Undeath, punish the inhabitants of Shadespires with mere destruction, but also deprived the city of light and splendour. From then on, trapped between the realm of shadows and the realm of light, no inhabitant could escape the walls of the Mirrored City and it fell into a desolate ruin. 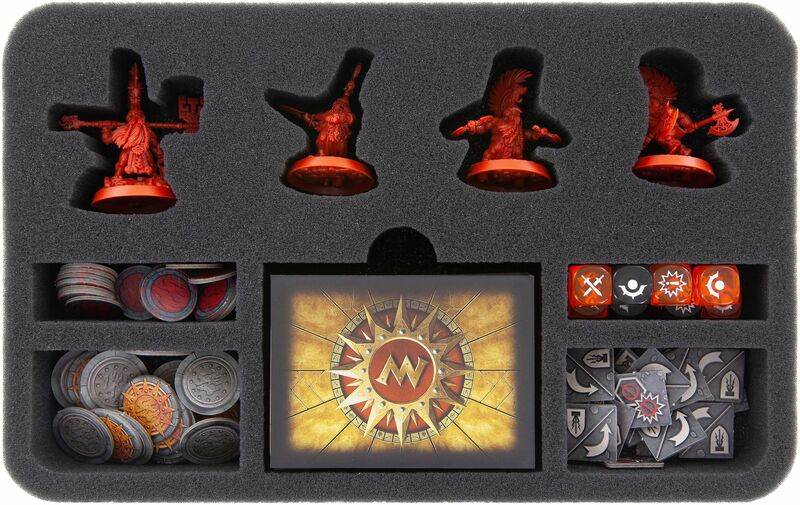 A deserted ruin is not a good place to keep your expensive miniatures. 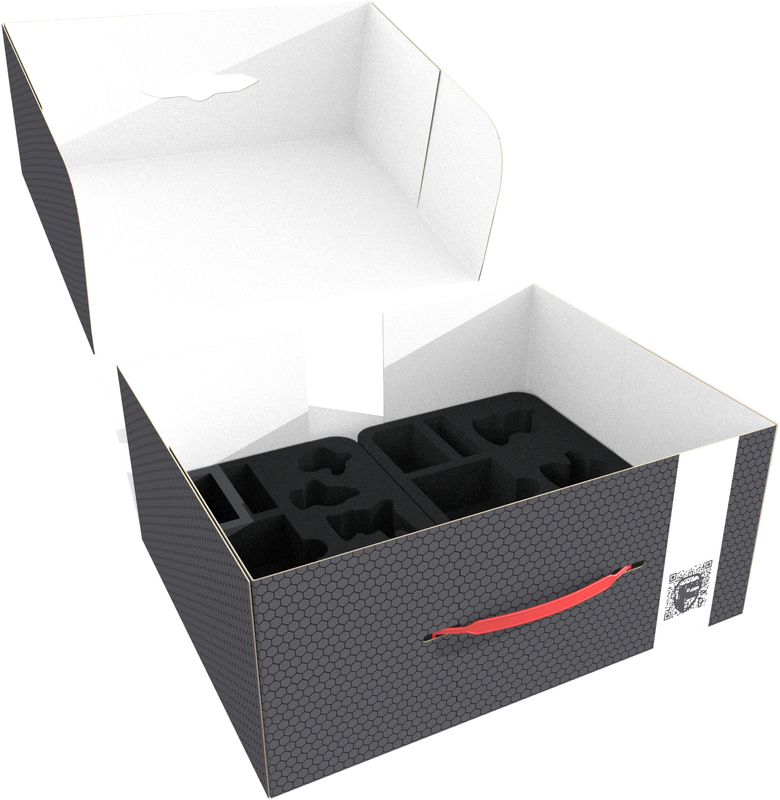 For a clear and safe storage of your warriors, the Feldherr storage box for 6 Warhammer Underworlds Shadespire Warbands is the ideal solution. 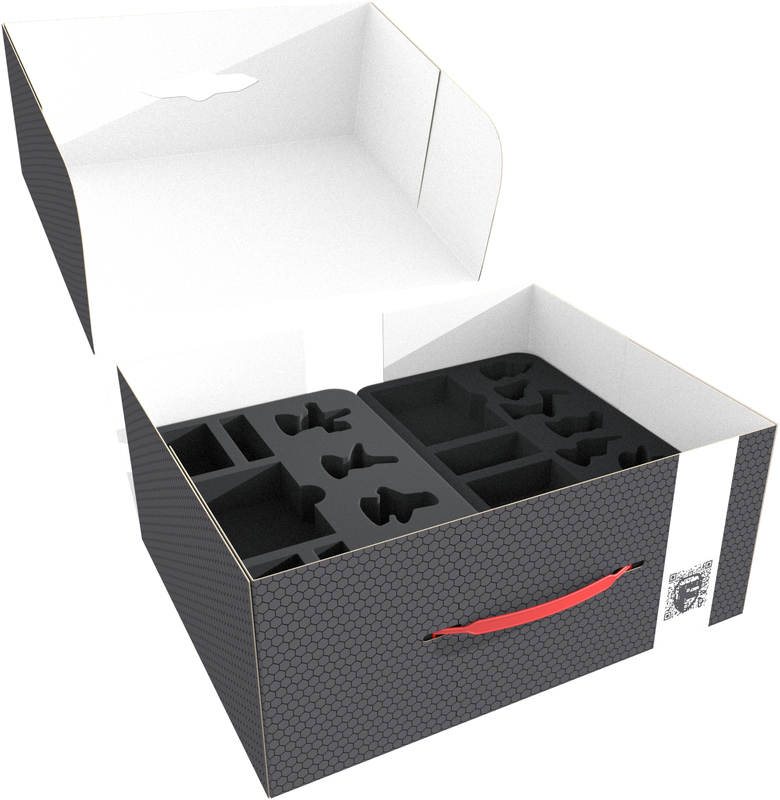 The box provides space for six foam trays, which are individually tailored to each single warband. 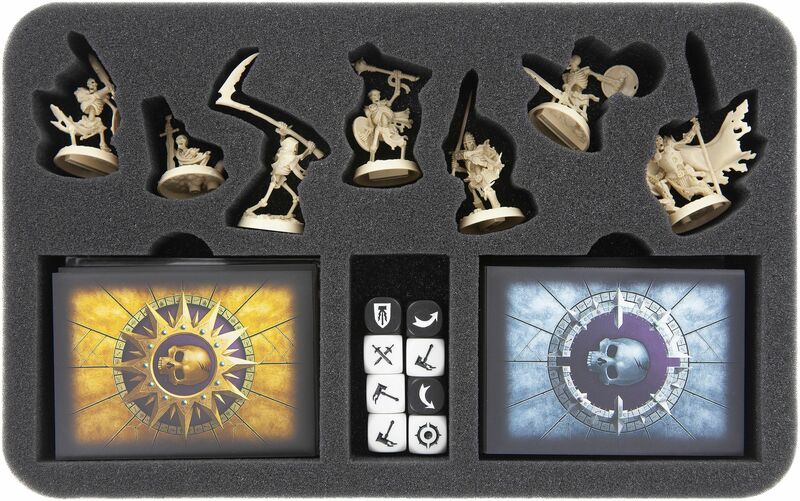 This guarantees that your miniatures don't collide, which may cause colors of painted miniatures to flake off. 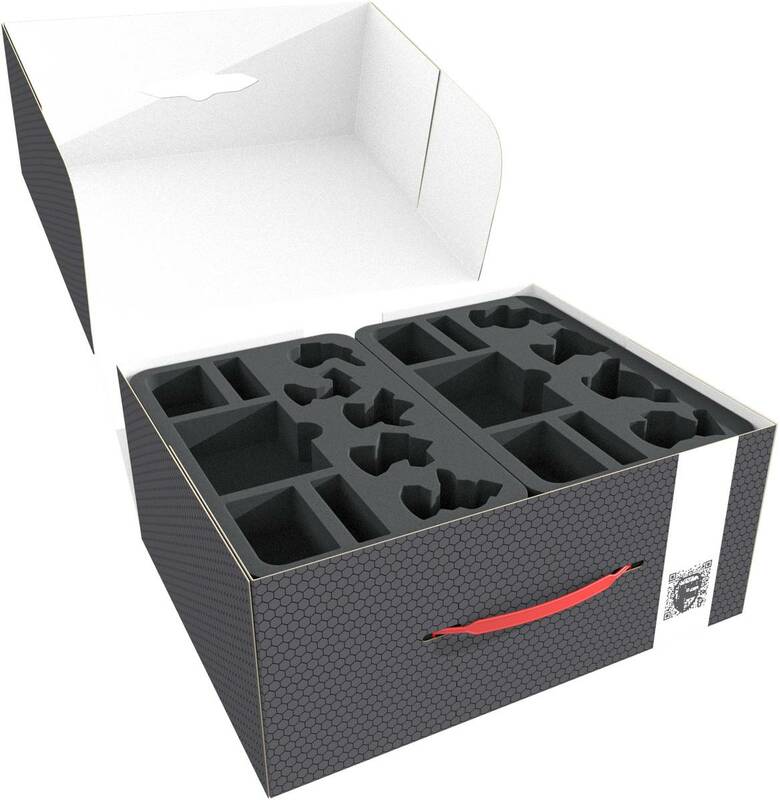 In addition to custom-made compartments for each miniature, the foam trays have compartments for sorting in the suitable cards and dice. Thus your warriors are always ready to fight. 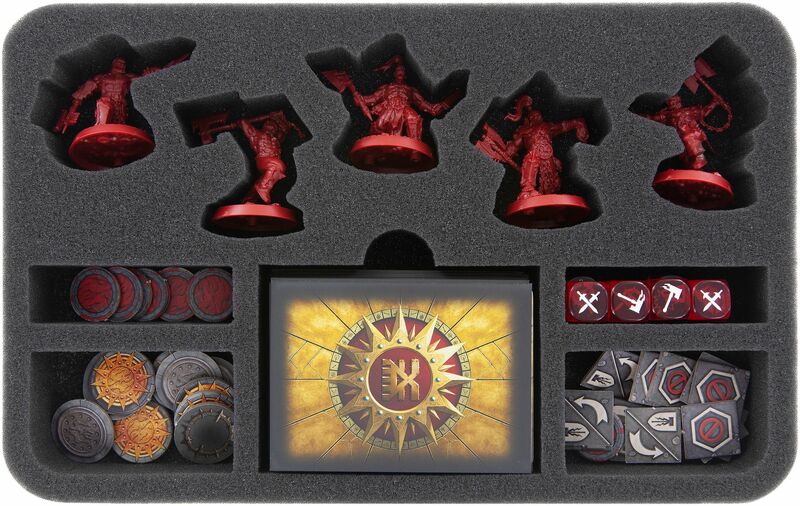 With this box your miniatures and play equipment are not only protected from dust and other influences, but are also always ready to hand when the next game is due. 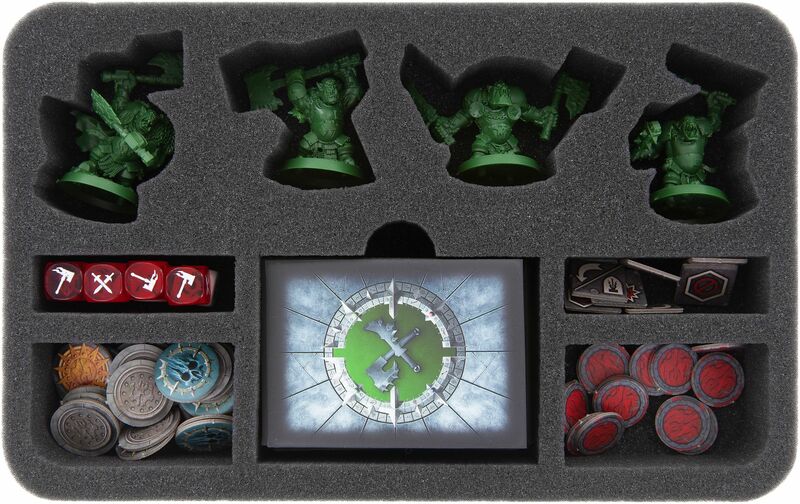 Thanks to the light weight of box and foam trays, you can easily transport your Shadespire collection to your friends with the practical carrying handle. 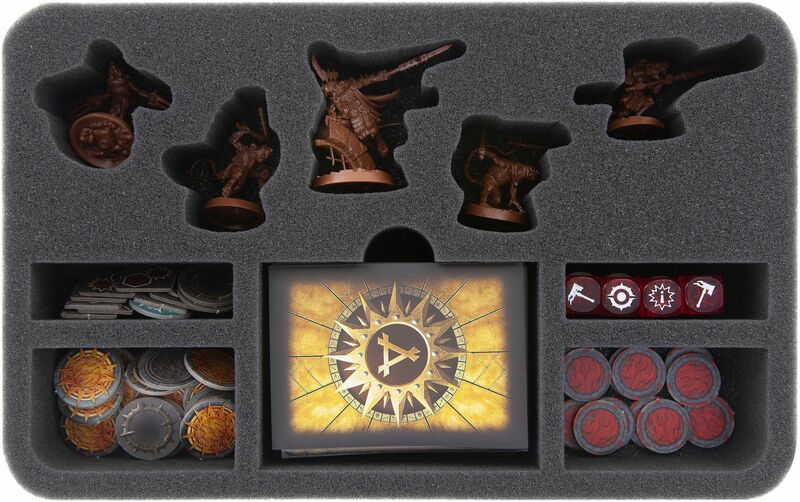 The storage box has the inside dimensions: 345 mm x 275 mm x 150 mm height. The foam trays measure 275 mm x 172 mm and varying heights (35, 40, 45 or 50 mm), depending on the warbands.